Planning to send some personalized gifts with your personal message to your friends and family?? 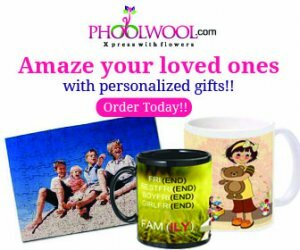 If yes, then Phoolwool.com will help you send personalized gifts embedded with your personal message, picture, art, etc… Phoolwool.com provides you free shipping across India! !